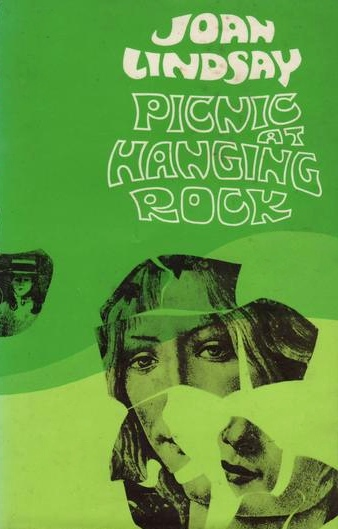 I think I may have vaguely known there was a novel behind Peter Weir’s 1975 film Picnic at Hanging Rock, but I suspect not. So stumbling across it at the Oxfam Book Shop I was at once intrigued. My Vintage edition has a sedate, sepia-toned photographic cover that emphasises the genteel girls at the centre of the tale. I like how the first edition cover captures the fractured narrative. Weir’s film does a brilliant job of capturing the narrative, too. I don’t know if I thought I’d find more answers than there are in the film; I love that the film doesn’t spell things out. At the heart of everything are many unknowable mysteries. What happened to the girls on that rock in 1900 is not as important to Lindsay as how the people around them cope with the mystery — or fail to do so. It’s not a spoiler to say that the girls’ disappearance is only the start of events. Miranda was looking at her so strangely, almost as if she wasn’t seeing her. When Edith repeated the question more loudly, she simply turned her back and began walking away up the rise, the other two following a little way behind. Well, hardly walking — sliding over the stones on their bare feet as if they were on a drawing-room carpet, Edith thought, instead of those nasty old stones. The hostility of the English to the mysteries of the Australian landscape permeate their reactions, whether they’re trying to recreate a little homey countryside or just exploit the resources before leaving the land behind. Of course the darkest parts of human nature show themselves in the wake of the disappearance. The hostility is sudden and strong, and the ripples of horror keep spreading. As always, in matters of surpassing human interest, those who knew nothing whatever either at first or even second hand were the most emphatic in expressing their opinions; which are well known to have a way of turning into established facts overnight. There were no answering smiles, no hum of excited greeting. In silence the ranks broke to the shuffling of rubber-soled feet on the sawdust floor. Sick at heart, the governess looked down at the upturned faces below. Not one was looking at the girl in the scarlet cloak. Fourteen pairs of eyes fixed on something behind her, through and beyond the whitewashed walls. It is the glazed inward stare of people who walk in their sleep. Oh, dear Heaven, what do these unhappy children see that I do not? It’s a slow build that gradually gathers speed, force and is ever so chilling. If you have the patience for the leisurely development, the payoff is several hard blows of horror that linger long after you’ve closed the book. See Patti’s blog for a round up of forgotten gems.